The highly versatile BU-65570M1 card is designed to test and simulate MIL-STD-1553 based systems, concurrently simulating a bus controller and up to 32 remote terminals with a triggerable bus monitor. The card utilizes a fully integrated Type II PCMCIA assembly that interfaces via a simple stub cable rather than an external adapter. 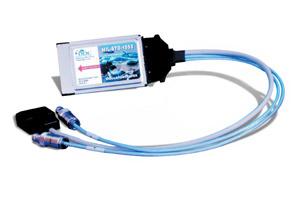 The BU-65570M1 also features comprehensive error injection, detection, and monitor filtering. BU-65570M1 software is a highly intuitive and powerful Windows application for quick and easy setup of emulation and monitoring. A menu-driven and customizable source code generation wizard eliminates the need for user programming after BC messaging, RT data table, and other basic bus elements have been configured. Generated code is based on the tester/simulator RTL function set and may be added to user software or compiled as a stand-alone application. The card comes with 'C', Visual Basic, and LabVIEW programming libraries. Optional dataMARS software provides real time acquisition and display of 1553 monitored data and dataSIMSadds simulation capability. The BU-65570M1 is suited to a wide variety of applications. 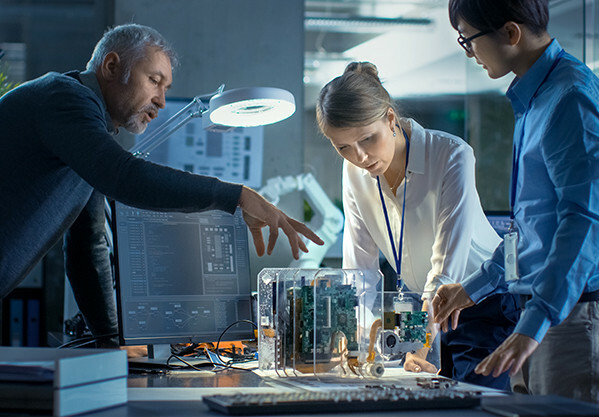 These include portable test equipment, flight line test and diagnostic, demonstration, software development, and system integration and debugging.